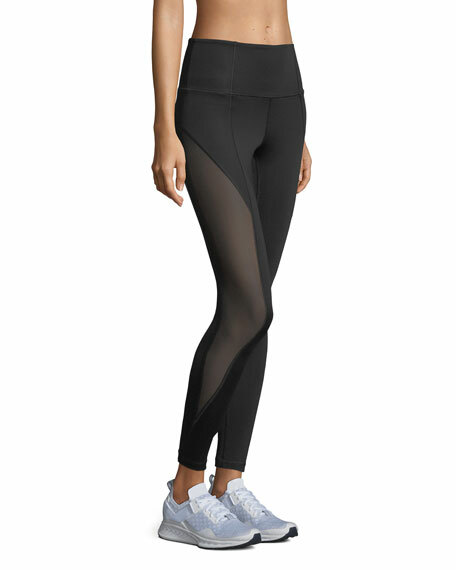 Aurum "Passion" leggings in printed performance fabric with tonal seaming. Mesh inserts at side for style and ventilation. High-rise; wide waistband for secure fit. Moisture wicking and 4-way stretch. For in-store inquiries, use sku #2333168.